In the winter of 1811-12, a series of large earthquakes in the New Madrid seismic zone-often incorrectly described as the biggest ever to hit the United States-shook the Midwest. Today the federal government ranks the hazard in the Midwest as high as California’s and is pressuring communities to undertake expensive preparations for disaster. Coinciding with the two-hundredth anniversary of the New Madrid earthquakes, Disaster Deferred revisits these earthquakes, the legends that have grown around them, and the predictions of doom that have followed in their wake. 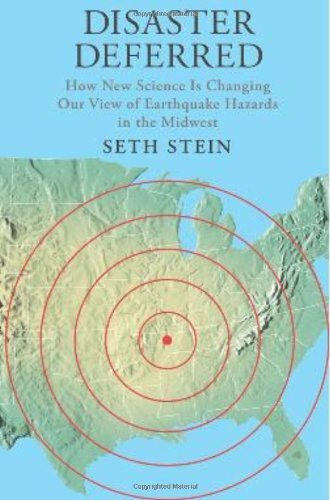 Seth Stein clearly explains the techniques seismologists use to study Midwestern quakes and estimate their danger. Detailing how limited scientific knowledge, bureaucratic instincts, and the media’s love of a good story have exaggerated these hazards, Stein calmly debunks the hype surrounding such predictions and encourages the formulation of more sensible, less costly policy. Powered by insider knowledge and an engaging style, Disaster Deferred shows how new geological ideas and data, including those from the Global Positioning System, are painting a very different-and much less frightening-picture of the future.